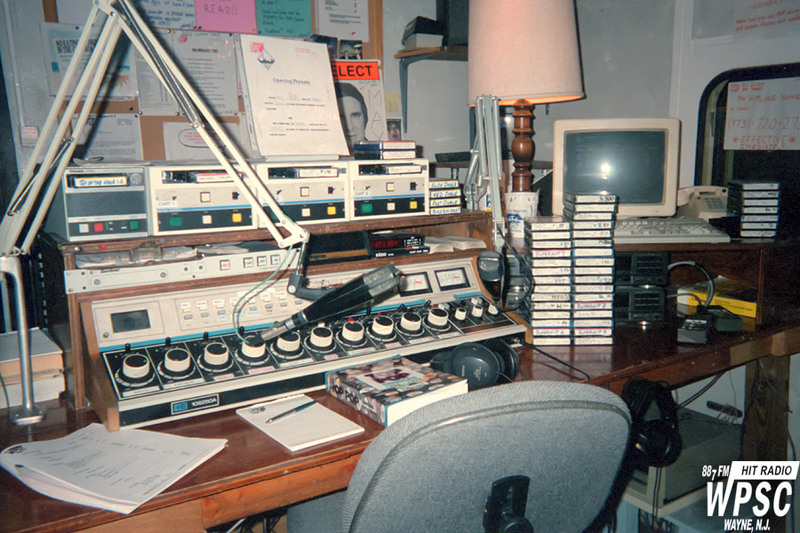 The WPSC-FM control room layout and board at the beginning of the Fall 1997 semester. Over the course of the previous summer a fourth cart machine (far left) had been added. This machine was not part of the trip-loop automation that the other 3 BE decks were in, so it was useful for small drops, manually fired sweepers, and recuing carts. Also visible is the printed MusicMaster log, as well as the hourly hot-clock that had to be signed off on by the jock on the air.